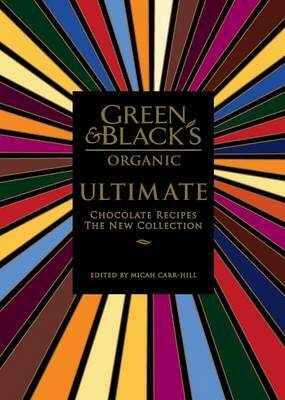 I’m very proud to have a recipe in the new Green & Black’s book. Micah asked me a couple of times for a contribution and I pretended not to hear him as I had absolutely no idea what to make. Eventually I caved and asked was there anything he was missing and after thinking for a couple of minutes, replied “Give me a muffin recipe”. It was only afterward that I discovered that he’s not exactly a huge fan of the muffin, as describes in the intro to this recipe in the book – though he understands that others feel differently. I tried a number of variations which I presented to him, and the one below was my absolute favourite, they’re light and moist. Preheat the oven to Gas Mark 6/200. Mix the wet ingredients together (I classify banana as ‘wet’). Combine but don’t overmix. Line a twelve space muffin tin with paper cases, and divide the mixture between them. Muffins are great because they keep well, homemade ones are so infinitely superior to commercially produced ones, and if you add in some dried fruit and use wholemeal flour, you can almost kid yourself that they’re entirely healthy. I then discovered that Micah loathes bananas with a passion. Needless to say, this isn’t the recipe which features in the book! Instead it’s a more sophisticated affair, dark chocolate and cardamom. Ultimate is packed full of gorgeous concoctions, including Bittersweet Bakers‘ amazing Chocolate Cinnamon Rolls and lots of recipes which Micah himself perfected – up til the wee hours of the morning sometimes. It’s been a delight to be involved in the smallest way, and for the full scoop on the launch party, check out Catty’s account over on the Catty Life! First of all, congrats on the book! So exciting. Was so lovely to attend the book launch event last night, thank you so much for asking me along! You didn’t mention you had a recipe in the book yourself, you naughty thing, CONGRATULATIONS! Published author, very very cool. I’m not a huge muffin fan either but these do sound gorgeous! @ Kavey @ Catty Was great to see both of you the other night – glad you had fun! And @ Vintage, also good to see you on a different evening! Oooooh congratulations on being a published recipe writer! 🙂 I have yet to check out Ultimate, must remember to look for it when I’m in Waterstone’s next.